Posted by Gerald Lombardo on Tuesday, November 13th, 2018 at 11:40am. If you’re a parent in South Florida and you want to expose your kid(s) to some culture, art, and science, you may be worried that bringing them to a museum could prove disastrous. Relax! Many great museums in South Florida have changed with the times, they are built to entertain and educate otherwise preoccupied kids of all ages. Here’s our guide to the best South Florida museums to visit with your family. If you live in West Palm Beach, Fort Lauderdale, or even in Palm Beach Gardens the Miami Children’s Museum is worth the trip. Especially because you can spend the whole day there and leave with your kids quietly napping in the backseat all the way home. This fabulous kid-friendly space has been in operation since 1983, and in its current location for the last 14 years. It’s won numerous awards and accolades. There’s so much to see and do at MCM, from gazing at sea creatures in a saltwater tank to running through an obstacle course and even climbing the giant rock wall known as Mt. MiChiMu. The Young At Art Museum in Fort Lauderdale is focused on embracing all types of art, it offers a whole lot more than your typical arts and crafts. Every exhibit allows kids to explore the hidden art in their surroundings, whether it's the great outdoors or the art of global cultures. Make giant bubbles, pretend to ride an eerily authentic NYC subway train or get lost in the tunnel playscape while learning about magnetic fields. There's even a whole exhibit just for the four and under set. This is one of the best museums when it comes to showing children that art is not only accessible but that it can actually be fun. At The Boca Raton Children's Musuem your kids can put on a show at the puppet stage, or go shopping for groceries at the market. There are a lot of opportunities for pretend play here. Outside the museum, there is a ship and a fun fort for climbing. Parents can get together for lunch under one of the gumbo-limbo trees while the kids play pirates. Every day of the week the museum features educational programs to inspire kids to create new things and explore the world around them. 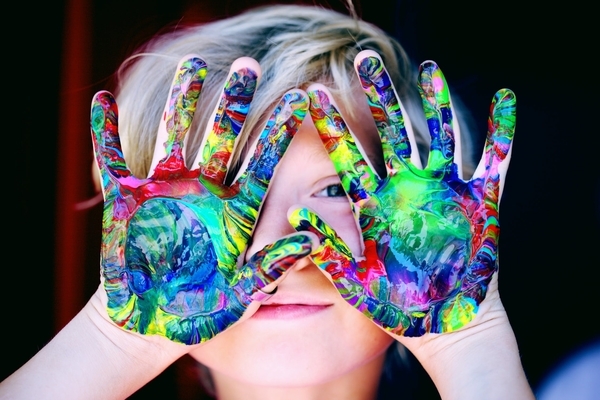 These including Sensory Arts, Imagination Playground and Inspiration Station, which introduces the littlest creators to watercolors, charcoal and sculpture arts. Museums are a great way to bring art and science down from the ivory towers and into your kid’s imagination. So, if you live in South Florida, help your kids fall in love with some of the finer things in life by bringing them to a local museum.